Though the town soon prospered once again, it would be short-lived. In 1900, the main ore vein in the Gold Coin Mine began to play out and the Woods’ profits began to decline. To add to their tremendous debt, heavy financial losses in 1899, and the reduced profits of the mine, the Woods’ Economic Mill burned. For the Woods Investment Company, the future was looking extremely grim. Though they were said to have been worth some $45 million, the company was heavily leveraged and rumors of their impending collapse caused a run on the First National Bank of Victor. Trying to recoup, the Woods Investment Company consolidated their miscellaneous mining properties into the United Gold Mines Company in 1902. Though the family hoped to issue shares in an exciting new company, so they might use them as loan collateral, their efforts would be in vain. Their bank was forced to close its doors on November 4, 1903, when bank examiners declared it insolvent. Over the next several years, the Woods Family Empire collapsed and the Woods Investment Company closed its doors permanently in 1910. Harry Woods ended up moving to California where he started a new business in oil. Though he did comfortably well, he never lived the lavish life he had during Victor’s heydays. He died in moderately comfortable circumstances in 1928. Battle Mountain in Victor, Colorado today, by Kathy Weiser-Alexander. Frank, on the other hand, didn’t fare as well. A number of personal tragedies affected him when he lost his son in a mining accident, and his daughter and wife both passed away. After remarrying, his second wife also died. Though he tried several new ventures, he was never able to make a financial comeback. When he died in Los Angeles in 1932, his friends had to take up a collection to pay for his burial. At its peak, over 500 mines dotted the landscape surrounding Victor and some 50,000 people called the area home. But like the Woods’, Victor’s days of prosperity ended in the early 1900’s when the vast majority of the gold was panned out or too expensive to get to. In the end, more than 22 million tons of gold had been taken from the area’s many mines. 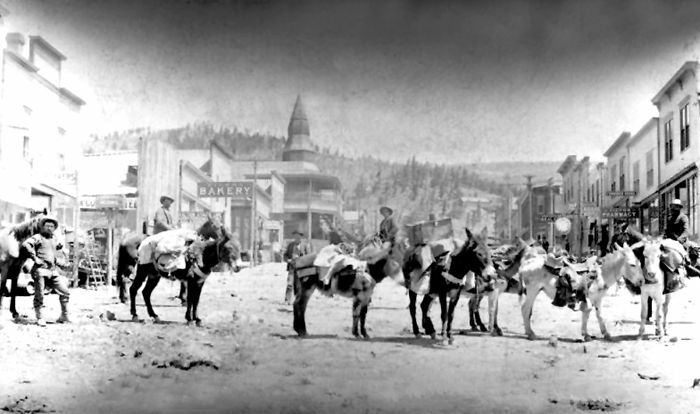 Through the years, the value of the gold mined in Teller County was greater than all other gold mining operations ever conducted in the United States combined, and, unlike most Colorado mining towns, Victor’s gold has not been depleted. 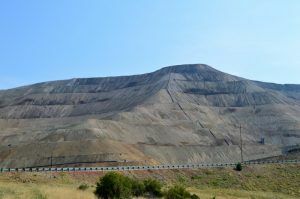 Today, the Cripple Creek & Victor Gold Mining Company continues to operate the largest open pit and heap leach mine in Colorado. Though the gold mining of today cannot match the excitement of Victor’s heydays of a century ago, it has again become the focus of the city’s economy and has added much to the preservation of the district. 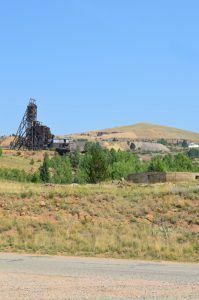 In addition to meeting the many environmental requirements, the Cripple Creek & Victor Gold Mining Company has built a number of trails and set up mining equipment exhibits in cooperation with a local volunteer group. Today, Victor remains much the same with its 1890s architectural buildings and head frames dotting the landscape. Beneath Victor’s streets, more than two miles of Gold Coin tunnels remain. The entire city, as well as a number of buildings, has been placed on the National Register of Historic Places. Be sure to take a look at Victor’s City Hall, built in 1900. The two-story Classical Revival building has been fully restored and continues to house the city clerk’s offices, the municipal court, and the police department as well as a new visitor center and museum. At 230 N. 4th Street, the Midland Terminal Railroad Depot also continues to stand, as well as the Victor Hotel in the Woods old bank building, and Stratton’s Independence Mine and Mill just outside of town. 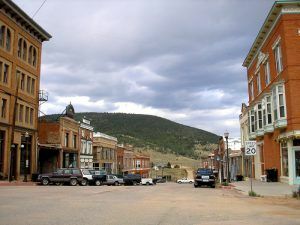 Mining continues to flourish in Victor, Colorado today, By Kathy Weiser-Alexander. Other mining remnants can also be seen at the Gold Coin Mine at Diamond and 5th streets, the Cresson head frame adjacent to the baseball field, and the Battle Mountain Interpretive site, that includes numerous mining remains, as well as old photographs, and the city’s history. 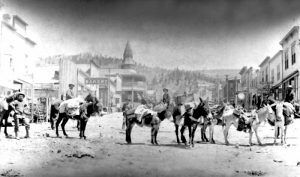 Of the Cripple Creek Mining District, only Victor, Gillette, Goldfield, and Cripple Creek remain today. The other many towns have long since disappeared. To reach Victor from Colorado Springs, drive west on U.S. Highway 24, then turn left (south) onto Colorado Highway 67 at Divide. Drive toward Cripple Creek and turn left off the highway onto Teller County Road 81 (near the former town of Gillette, marked with a tiny airplane hanger). View of Victor, Colorado today, by Kathy Weiser-Alexander.